The Tbourida Festival in Bouznika is about to celebrate its second year. 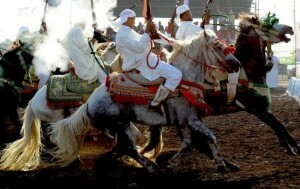 Scheduled for August 20 to 24, the festival organized by the local Development Association of Horses and Equestrian Fantasia will revive Moroccan traditions and transmit to future generations the values ​​of respect, courage and honor conveyed by the horse. “Following the success of the previous edition, which attracted more than 150,000 spectators, this cultural event has achieved a national dimension by moving up the ranks of leading cultural events of the Kingdom,” said the Association in a press release. For this second edition, the festival will offer the public a rich program, including a horse auction… and space for the exhibition of local products Chaouia-Ouardigha region.